Collisions is a digital chemistry game designed to give high school students a deepened understanding of fundamental concepts while exploring the system of chemistry through play. Currently available on iPad, Android tablets, and the web. Atoms is free to play. Access to other content areas is available via subscription. Conceptual Academy offers complete science courses hosted by a team of accomplished college professors and textbook authors. Designed for high school students of all interest levels, these self-study courses feature a library of video lessons, reading assignments, quizzes, worksheets, and exams. You can sign-up for a FREE sample course here. If you’re looking for math resources for your home school curriculum, you’ll find worksheets, calculators and more at DadsWorksheets.com. Regardless of whether you’re looking for help with fractions, word problems or just basic multiplication, there are thousands of printable worksheets with answer keys ready for your student. Dawn Publications is dedicated to inspiring in children a deeper understanding and appreciation for all life on Earth. Through the books they publish, and the educational materials they offer online, Dawn Publications encourage children to bond with the Earth in a relationship of respect, and intelligent cooperation. This site uses an audio-visual technique to teach science (Biology, Chemistry and Physics) in a step-by-step manner. The “right-hemispheric” learning approach takes advantage of the brain’s ability to process images more efficiently and more effectively than reading text alone. You can find sample lessons on the site. FYI – the company is adding Fascinating Anatomy & Physiology in November of 2017. The Know Yourself Adventure Series offers a monthly subscription box. Every delivery teaches a new system of the body through games, experiments, and activities the whole family can enjoy. Kids 7+ can experience the activities through independent learning. Also great for younger kids and side by side learning. Mainstay Math, LLC helps improve math achievement through concept attainment. The company provides support for your math curriculum through products (kits, libraries, instructional guides, and individual trade books) and services (professional development, mentoring, and tutoring for students). 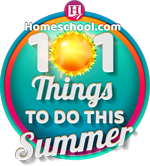 A complete K – 12 math curriculum focused on homeschool and small group learning environments. Math-U-See “ builds understanding” in students by using manipulative in a multi-sensory, mastery-based approach suitable for all levels and learning styles. RobotLAB uses students’ interests in robots to build core 21st century skills like programming, and computational thinking. Using advanced robots makes abstract math and computer science real, by focusing lessons around complex problems which become intuitive through interaction and manipulation of the robots. 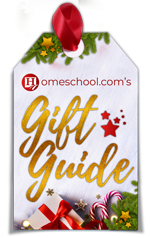 The website offers STEM kits, Cubelets, Dash And Dot, plus so much more. Shiller Math is a Montessori-based curriculum which uses a multi-sensorial approach to teaching. Through hands-on activities and trial-and-error experimentation, students learn mathematical skills, gain problem-solving experience, and develop confidence in their own abilities. For students pre-Kindergarten – SAT/ACT prep. Science4Us.com is the framework for your K-2nd grade homeschool science program. 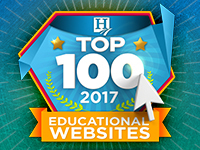 This digitally delivered science program includes over 350 online lessons and over 1,000 offline resources. 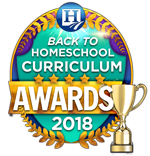 Techknow Training Studios provides online technology courses for homeschoolers in Grades 6 and up. The company offers full online access, certified teachers, and high school credit. With the purchase of a student account, Techknow offers FREE courseware to all parents (you can brush up on your skills or learn alongside your kids). All for just $14.95/month. Tech Will Save Us offers make-it-yourself technology kits that inspire learning through making, playing, coding and inventing. And the kits provide hours of fun for the entire family. 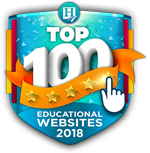 We sure hope you enjoy our Top 100 Educational Websites of 2017!